Harry was born in the village of Combe Down, near Bath, Somerset, England. He appears in the 1901 Census as a two-year-old boy along with his stonemason father William John Patch, mother Elizabeth Ann (née Morris), and older brothers George Frederick and William Thomas at a house called "Fonthill". The family are recorded at the same address "Fonthill Cottage" in the 1911 census. His elder brothers are recorded as a carpenter and banker mason. Harry left school in 1913, and became an apprentice plumber in Bath. In October 1916, he was conscripted as a private into the Duke of Cornwall's Light Infantry, serving as an assistant gunner in a Lewis Gun section. Harry arrived in France in June 1917. He fought at the Battle of Passchendaele (also known as the Third Battle of Ypres) and was injured in the groin when a shell exploded overhead at 22:30 on 22 September 1917, killing three of his comrades. He was removed from the front line and returned to England on 23 December 1917. 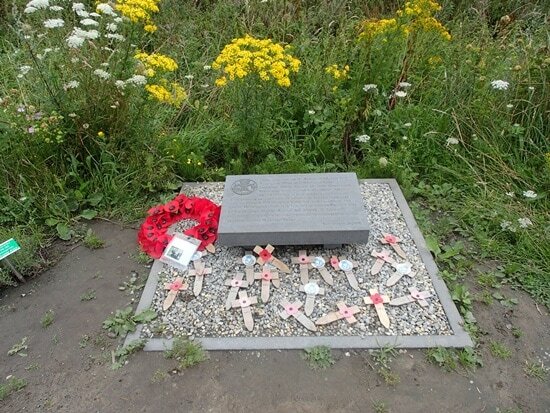 Patch referred to 22 September as his personal Remembrance Day. He was still convalescing on the Isle of Wight when the Armistice was declared the following November. He later said: "When the war ended, I don't know if I was more relieved that we'd won or that I didn't have to go back. Passchendaele was a disastrous battle – thousands and thousands of young lives were lost. It makes me angry. Earlier this year, I went back to Ypres to shake the hand of Charles Kuentz, Germany's only surviving veteran from the war. It was emotional. He is 107. We've had 87 years to think what war is. To me, it's a licence to go out and murder. Why should the British government call me up and take me out to a battlefield to shoot a man I never knew, whose language I couldn't speak? All those lives lost for a war finished over a table. Now what is the sense in that?" After the war, Harry returned to work as a plumber, during which time he spent four years working on the Wills Memorial Building in Bristol, before becoming manager of the plumbing company's branch in Bristol. A year above the age to be called up for military service at the outbreak of the Second World War in 1939, he became a part-time fireman in Bath, dealing with the Baedeker raids. Later in the war he moved to Street, Somerset where he ran a plumbing company until his retirement at age 65. In 1918, Harry married Ada Billington, who died in 1976. They had two sons, both of whom predeceased him: Dennis, who died in 1984, and Roy, who died in 2002. At age 81 he married his second wife, Jean, who died in 1984. His third partner, Doris Whittaker, who lived in the same nursing home as him, died in 2007. 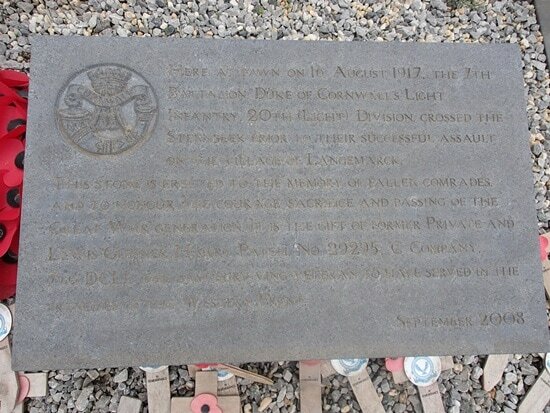 "Here, at dawn, on 16 August 1917, the 7th Battalion, Duke of Cornwall's Light Infantry, 20th (Light) division, crossed the Steenbeek prior to their successful assault on the village on Langemarck. This stone is erected to the memory of fallen comrades, and to honour the courage, sacrifice and passing of the Great War generation. It is the gift of former Private and Lewis Gunner Harry Patch, No. 29295, C Company, 7th DCLI, the last surviving veteran to have served in the trenches of the Western Front." Harry died at 9 am on 25 July 2009, aged 111 years, one month, one week and one day. This was also seven days after the death of fellow veteran Henry Allingham, who was at the time aged 113. 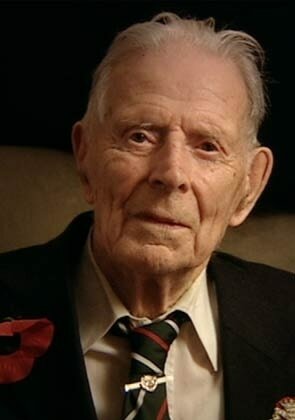 The Prince of Wales led the tributes to him, saying: "Today, nothing could give me greater pride than paying tribute to Harry Patch, of Somerset." Patch was the last male First World War veteran living in Europe, and the last verified remaining British male to have been born in the 1890s.